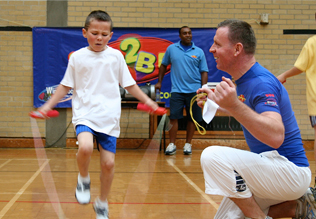 A unique exercise programme for primary school children teachers and parents. 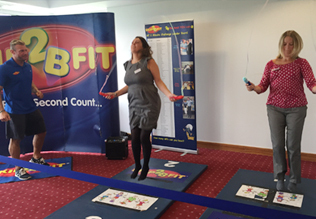 CPD training for teachers provided on the workshop day when the Primary Box2Bfit Kitbag is also purchased. Can be used for both curriculum time PE and after school parent/pupil activity for parental engagement. Fits in with Ofsted Recommendation in their report- 'Beyond 2012- Outstanding physical education for all', in that all teachers and sports staff should try to improve pupils’ fitness by keeping them physically active throughout all lessons and engaging them in regular, high-intensity vigorous activity for sustained periods of time. Schools that purchase a workshop and a kitbag can receive CPD training on the day either at lunchtime or after school. 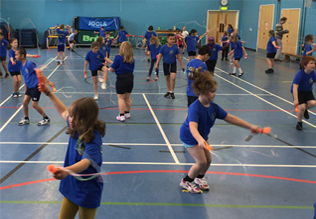 This resource is perfect for schools looking for something different to spend their Sport Premium on. Please contact us if you would like to book a workshop.